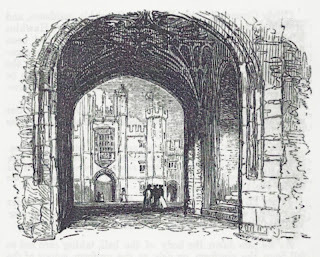 I chose this excerpt from a Hampton Court Palace guidebook not simply because it gives us an idea of what Hampton Court Palace was like early in Queen Victoria’s reign, but because the writer has attitude. You’ll note his mentioning a historical error. 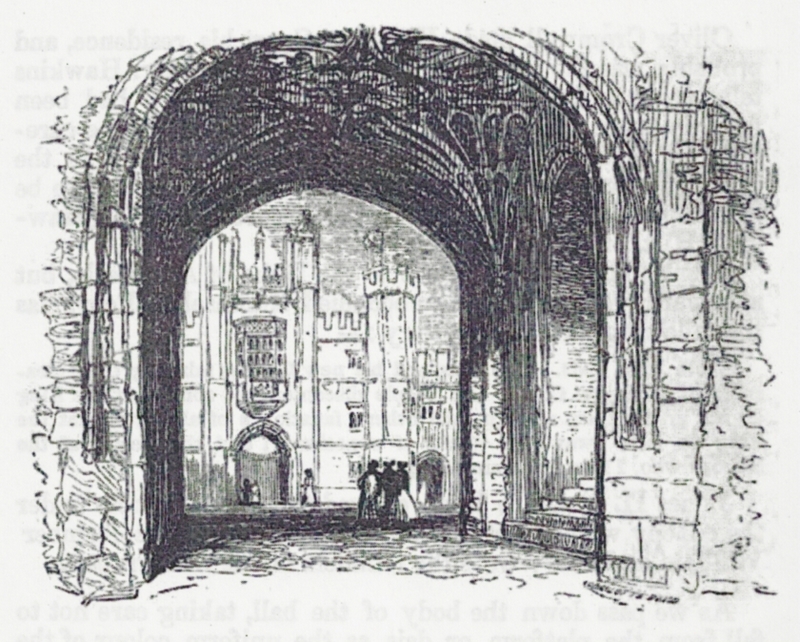 We often blame the Victorians for creating their own historical myths to suit their tastes, but this gentleman did try to set the record straight about the clock—as well as add a few digs about Henry VIII and William Kent. which ostensibly have supplanted something-better: indeed, throughout the whole of these portions of the palace, you cannot fail to be struck with the evident pains which the royal Harry, having once got possession, must have taken to set his mark wherever he could find a place for it. He that runs may read the "Dieu et mon Droit" everywhere. The eastern side of this quadrangle is marked with the date of 1732, that of its restoration, which was executed under the directions of Kent, the architect—one who had no respect for any but classical architecture. Here, thinking to improve on the original style, he has introduced some notions of his own, much less pertinent than they should be. Instead of the broad-shouldered, essentially Tudor arch, an "ogee" of an earlier period has been fantastically adapted; its want of harmony must strike every eye. —Felix Summerly [pseud. for Sir Henry Cole] A hand-book for the architecture, tapistries, paintings, gardens and grounds of Hampton Court, 1849.